Last Christmas, my husband received this San Francisco Ork poster. This year, he’s asking Santa for the London neighborhoods version. It comes printed on black soy-based ink or a blueish purple soy-based ink for $22. Even better, it ships to the US in one to three business days via UPS! See, it’s not too late, my fellow procrastinators! And you’re welcome! 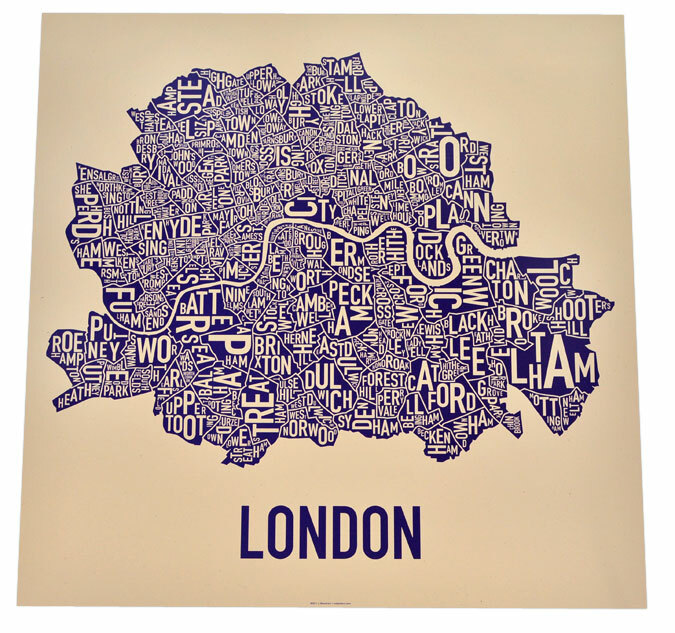 Posted on 13, December 2011, in Design and tagged gift, London, Ork poster, poster. Bookmark the permalink. 1 Comment. I love these type maps.